F Jeremy Williams (Swift Current, 2000-04) has signed a one-year extension with the Straubing Tigers (Germany, DEL). This season, he had 19 goals and 17 assists in 43 games. . . .
F Dan DaSilva (Portland, 2002-05) has signed a one-year extension with Linz (Austria, Erste Bank Liga). He was second in the league’s scoring race this season, putting up 70 points, including 31 goals, in 53 games. . . .
F Byron Ritchie (Lethbridge, 1993-97) has announced his retirement. This season, he had four goals and 15 assists in 35 games with MODO Örnsköldsvik (Sweden, Allsvenskan). He was team captain for two seasons. . . . Ritchie has yet to fully recover from a concussion he suffered in January. Ritchie told Örnsköldsvik newspaper Allehanda: "I do not know if I understand it yet, to be honest. It is a strange feeling that I never had. I have not been able to train at all. I've only been walking the dogs. In the afternoons and evenings, I often get headaches and fatigue. It affected me a lot the first month. I slept really all the time, but now I can live normally. Except that I can't work out. I'm going to focus on being a father now. I want to be involved in my children's sports activities. It feels good that I can focus on the family now." We are into the final three days of the WHL’s 2016-17 regular season, and you are wondering what’s up for grabs. Well, of the 16 available playoff spots only one — the Eastern Conference’s second wild-card spot — is still available. The Calgary Hitmen have a three-point edge over the Saskatoon Blades, each team having two games remaining. The Hitmen will go home-and-home with the Kootenay Ice, while the Saskatoon Blades do the same with the Prince Albert Raiders. To the winner goes a first-round matchup with the Regina Pats, the best team in the WHL during this regular season. In the East Division, the second-place Moose Jaw Warriors and third-place Swift Current Broncos will meet in the first round. They will play a home-and-home series this weekend — the Warriors hold a 3-1-0 edge — which means these teams could end up playing nine straight games against each other. In the Central Division, the pennant-winning Medicine Hat Tigers and the defending-champion Brandon Wheat Kings will be first-round opponents. The Wheat Kings will be the Eastern Conference’s first wild-card team. The Tigers won three of the four regular-season games between the teams. Don’t forget that Brandon will play its first-round home games in Dauphin, Man., where the Credit Union Centre has 1,763 seats and room for 247 standees. Meanwhile, the second-place Lethbridge Hurricanes will tangle with the third-place Red Deer Rebels. The Hurricanes are 23 points ahead of the Rebels going into the final weekend. In the season series, Lethbridge was 5-0-1; Red Deer was 1-4-1. In the Western Conference, we know the eight playoff teams . . . we just don’t know where they will finish. Seriously! Not one of the eight teams knows where it will wind up or who it will meet in the opening round. In the B.C. Division, the first-place Prince George Cougars hold a two-point lead over the Kelowna Rockets, who are three points ahead of the Kamloops Blazers. All three have two games remaining — the Cougars go home-and-home with the Blazers, while the Rockets to the same with the Vancouver Giants. The fourth-place Victoria Royals can’t advance within the division but will go into the playoffs as a wild-card entry. They hold down the first wild-card spot, one point ahead of the Tri-City Americans. The Royals will finish up against the Everett Silvertips, playing one at home and one on the road. The Americans will go home-and-home with the Spokane Chiefs, before a Sunday meeting with the Silvertips. The Americans also are fourth in the U.S. Division, three points behind the Portland Winterhawks, who have two games remaining. The Winterhawks, who can’t move up in the division, have two games left — against the Seattle Thunderbirds and Spokane Chiefs. The Thunderbirds go into the weekend leading the U.S. Division by a point over the Silvertips. If it comes down to Sunday night, the Thunderbirds are at home to Vancouver, while the Silvertips visit the Americans. No matter how it all unfolds, though, the playoffs will begin on March 24. The WHL has suspended F Tyler Coulter of the Brandon Wheat Kings for three games after he took a charging major and game misconduct during a 6-3 loss to the visiting Swift Current Broncos on Tuesday. Coulter sat out Wednesday’s 3-1 victory over the Warriors in Moose Jaw and will miss Brandon last two regular-season games this weekend. . . . The Tri-City Americans will be without F Landon Fuller for one game after he was suspended for a charging major and game misconduct during a 6-1 loss to the visiting Portland Winterhawks on Tuesday. . . . The Americans will get back D Dakota Krebs after he served a one-game suspension for a cross-checking major and game misconduct during a 5-1 loss to the visiting Everett Silvertips on Saturday. The WHL honoured the late Norbert Heinzelmann with one of its 2016-17 Distinguished Service Awards prior to a game in Kelowna on Wednesday night. Heinzelmann, who died on Sept. 2 at the age of 57, was Kelowna’s head scorekeeper and also the head of its off-ice officials since the franchise relocated from Tacoma, Wash., in 1995. In Kamloops, the Blazers, their off-ice officials and some media members raised $1,015 in memory of Pat Rozek and presented it to the Darcy Robinson Memorial Foundation. The foundation helps Kamloops children who otherwise couldn’t afford to play hockey. Rozek, who died on Dec. 22 at the age of 64, had been the Blazers’ official scorekeeper for 25 years. He also worked the 2010 Olympic Winter Games in Vancouver and numerous other such events. Rozek would seem to be a prime candidate for a Distinguished Service Award, too. Ken Wagner, the majority owner of the BCHL’s Nanaimo Clippers, told a news conference on Thursday that the franchise needs help. In fact, Wagner said that without some local ownership, the team may move elsewhere on Vancouver Island. . . . Wagner told the news conference: “We’ve hit a wall in Nanaimo as an ownership. We’ve tried for a lot of years to make it work. . . . We are done writing cheques. We’re spent out. . . . The business side of it is the numbers are the numbers. The emotional side is we don’t want to move the club.” . . . If local ownership isn’t found in the next two weeks, Wagner said he is looking at moving the franchise or shutting it down. . . . Greg Sakaki of the Nanaimo News Bulletin has more right here. Enio Sacilotto of the Victoria Royals has been named head coach of the Croatian national team that will play in the 2017 IIHF World Championship (Division 1, Group B) in Belfast, Ireland, from April 23 through April 29. . . . Sacilotto was an assistant coach with the Royals from 2011-16 before being named director of prospect development and WHL scout prior to this season. . . . Croatia will be in a group with Estonia, Great Britain, Japan, Lithuania and the Netherlands. The tournament winner will be promoted to Division 1, Group A. . . . Sacilotto isn’t a stranger to Croatia, having worked as the Croatian Ice Hockey Federation’s U-18 and U-20 head coach in 2009-10. 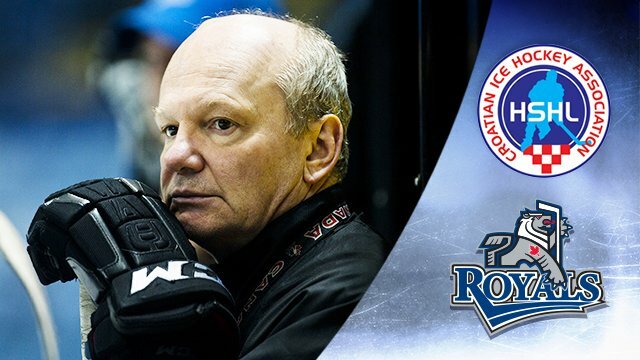 He also was head coach of Medvescak Zagreb, a Croatian team, when it was in the Austrian league in 2009-10. . . . Sacilotto, who is from Vancouver, B.C., will return to the Royals when the tournament in Ireland is over.